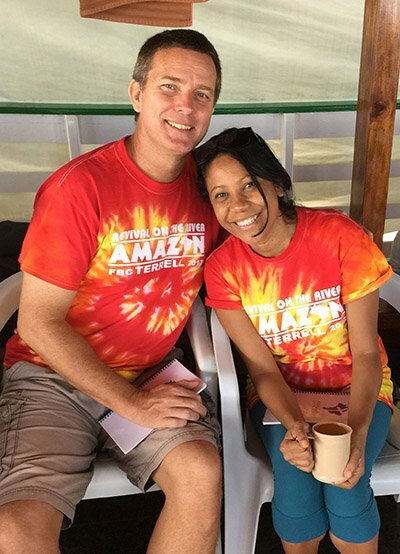 Ted and Juliana first met in October of 2013 when Ted, an American, was on a 13 month long missionary journey through Central and South America. Juliana, a Brazilian, was a missionary at a base in Fortaleza, Brazil. Two years of friendship blossomed into a marriage in 2015. God put the vision He had individually given them both and formed it into one vision. They have a passion for the Amazon indigenous and ribeirinho people in Brazil, specifically, the Sateré Mawé. They live in Maués, Brazil. It is a small city on the Parauari River, which is just South of the Amazon River. It’s location is part of the municipality of the Sateré-Mawé.